The ESP Guitars B 1005 BASS 5-String Bass Guitar, Natural Satin. Rocking, classic styled 5-string electric bass with EMG pickups and active EQ for big, biting tones. The ESP Guitars B 1005 BASS is a 5-string solid body electric bass guitar with superb playability and a luxurious flamed maple top. The Ltd Deluxe Basses Series, B-1005 NS is loaded with EMG 40TW (B) / 40P5 (N) Active pickups and EMG B64 3-Band Active EQ controls for versatile, powerful tones. The smooth, extra thin U-shaped, 5-piece maple-walnut thru-body neck with ebony fingerboard on an mahogany body plays very well and looks stunning. Other B1005 features include offset abalone dot inlays, 24 xtra jumbo frets, Hipshot Ultralite tuners and a Hipshot “A” Style w/ String-Thru-Body bridge. 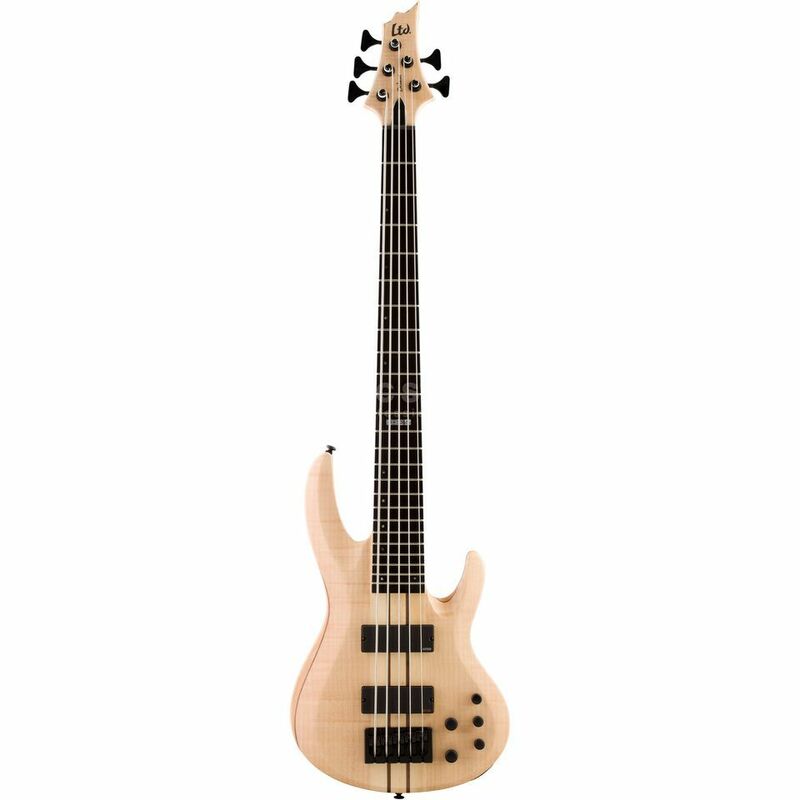 The B-1005 is a professional bass with versatile, powerful EMG tones, superb hardware and classic, double cutaway looks.